In evaluating the U.N. Climate Change Conference in Copenhagen — with more than 15,000 participants from 192 countries, including more than 100 heads of state, as well as 100,000 demonstrators in the streets — it is important to ask: How is it possible that the worst polluter of carbon dioxide and other toxic emissions on the planet is not a focus of any conference discussion or proposed restrictions? 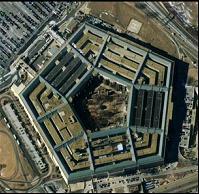 By every measure, the Pentagon is the largest institutional user of petroleum products and energy in general. Yet the Pentagon has a blanket exemption in all international climate agreements. The Pentagon wars in Iraq and Afghanistan; its secret operations in Pakistan; its equipment on more than 1,000 U.S. bases around the world; its 6,000 facilities in the U.S.; all NATO operations; its aircraft carriers, jet aircraft, weapons testing, training and sales will not be counted against U.S. greenhouse gas limits or included in any count. The Feb. 17, 2007, Energy Bulletin detailed the oil consumption just for the Pentagon’s aircraft, ships, ground vehicles and facilities that made it the single-largest oil consumer in the world. At the time, the U.S. Navy had 285 combat and support ships and around 4,000 operational aircraft. The U.S. Army had 28,000 armored vehicles, 140,000 High-Mobility Multipurpose Wheeled Vehicles, more than 4,000 combat helicopters, several hundred fixed-wing aircraft and 187,493 fleet vehicles. Except for 80 nuclear submarines and aircraft carriers, which spread radioactive pollution, all their other vehicles run on oil. Even according to rankings in the 2006 CIA World Factbook, only 35 countries (out of 210 in the world) consume more oil per day than the Pentagon. The U.S. military officially uses 320,000 barrels of oil a day. However, this total does not include fuel consumed by contractors or fuel consumed in leased and privatized facilities. Nor does it include the enormous energy and resources used to produce and maintain their death-dealing equipment or the bombs, grenades or missiles they fire. Steve Kretzmann, director of Oil Change International, reports: “The Iraq war was responsible for at least 141 million metric tons of carbon dioxide equivalent (MMTCO2e) from March 2003 through December 2007. … The war emits more than 60 percent of all countries. … This information is not readily available … because military emissions abroad are exempt from national reporting requirements under U.S. law and the U.N. Framework Convention on Climate Change.” (www.naomiklein.org, Dec. 10) Most scientists blame carbon dioxide emissions for greenhouse gases and climate change. Just how did the Pentagon come to be exempt from climate agreements? At the time of the Kyoto Accords negotiations, the U.S. demanded as a provision of signing that all of its military operations worldwide and all operations it participates in with the U.N. and/or NATO be completely exempted from measurement or reductions. After securing this gigantic concession, the Bush administration then refused to sign the accords. Today in Copenhagen the same agreements and guidelines on greenhouse gases still hold. Yet it is extremely difficult to find even a mention of this glaring omission. The blanket exclusion of the Pentagon’s global operations makes U.S. carbon dioxide emissions appear far less than they in fact are. Yet even without counting the Pentagon, the U.S. still has the world’s largest carbon dioxide emissions. Besides emitting carbon dioxide, U.S. military operations release other highly toxic and radioactive materials into the air, water and soil. U.S. weapons made with depleted uranium have spread tens of thousands of pounds of microparticles of radioactive and highly toxic waste throughout the Middle East, Central Asia and the Balkans. The U.S. sells land mines and cluster bombs that are a major cause of delayed explosives, maiming and disabling especially peasant farmers and rural peoples in Africa, Asia and Latin America . For example, Israel dropped more than 1 million U.S.-provided cluster bombs on Lebanon during its 2006 invasion. The U.S. war in Vietnam left large areas so contaminated with the Agent Orange herbicide that today, more than 35 years later, dioxin contamination is 300 to 400 times higher than “safe” levels. Severe birth defects and high rates of cancer resulting from environmental contamination are continuing into a third generation. The 1991 U.S. war in Iraq , followed by 13 years of starvation sanctions, the 2003 U.S. invasion and continuing occupation, has transformed the region — which has a 5,000-year history as a Middle East breadbasket — into an environmental catastrophe. Iraq ‘s arable and fertile land has become a desert wasteland where the slightest wind whips up a dust storm. A former food exporter, Iraq now imports 80 percent of its food. The Iraqi Agriculture Ministry estimates that 90 percent of the land has severe desertification. Moreover, the Defense Department has routinely resisted orders from the Environmental Protection Agency to clean up contaminated U.S. bases. ( Washington Post, June 30, 2008) Pentagon military bases top the Superfund list of the most polluted places, as contaminants seep into drinking water aquifers and soil. The Pentagon has also fought EPA efforts to set new pollution standards on two toxic chemicals widely found on military sites: perchlorate, found in propellant for rockets and missiles; and trichloroethylene, a degreaser for metal parts. Trichloroethylene is the most widespread water contaminant in the country, seeping into aquifers across California , New York , Texas , Florida and elsewhere. More than 1,000 military sites in the U.S. are contaminated with the chemical. The poorest communities, especially communities of color, are the most severely impacted by this poisoning. U.S. testing of nuclear weapons in the U.S. Southwest and on South Pacific islands has contaminated millions of areas of land and water with radiation. Mountains of radioactive and toxic uranium tailings have been left on Indigenous land in the Southwest. More than 1,000 uranium mines have been abandoned on Navajo reservations in Arizona and New Mexico . Around the world, on past and still operating bases in Puerto Rico, the Philippines , South Korea , Vietnam , Laos , Cambodia , Japan , Nicaragua , Panama and the former Yugoslavia , rusting barrels of chemicals and solvents and millions of rounds of ammunition are criminally abandoned by the Pentagon. The best way to dramatically clean up the environment is to shut down the Pentagon. What is needed to combat climate change is a thoroughgoing system change.